Before the development of the techniques to facet gemstones, the most valuable gems were sapphires, emeralds and rubies–not diamonds. Gemstones of incredible color and size can be very impressive without faceting; but the diamond does not reveal its brilliance until it is cut in facets. 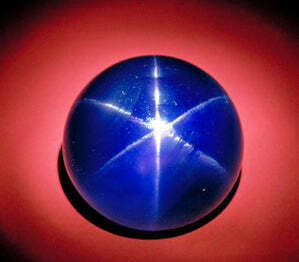 I would like to share with you some interesting facts about world’s famous sapphires. One of the oldest known sapphires is the 104 ct Stuart Sapphire, which dates back to 1214. This fine blue but slightly included sapphire went through many hands of multiple kings and cardinals before it was mounted in Queen Victoria’s State Crown. 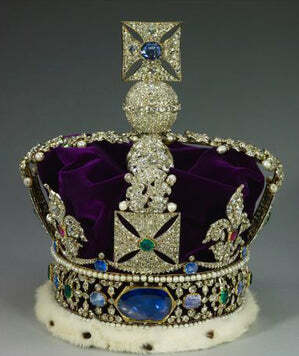 Replaced with the “Star of Africa” diamond, it was moved to British Imperial State Crown and currently is on display as a part of British Crown Jewels in the Tower Of London. 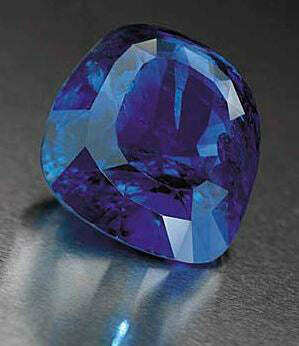 Among cut sapphires, the largest known in the world is Queen Marie of Romania’s Sapphire, it weighs 478 ct. It combines both stunning color and long history. It was purchased by King Ferdinand in 1921 for his wife Queen Marie, the granddaughter of Queen Victoria Of England and Russian Czar Alexander II. 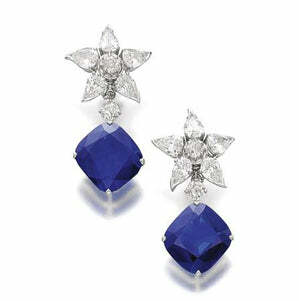 The sapphire was sold around 1947 and acquired by Harry Winston. According to lab reports, it is of Sri Lankan origin and completely unheated. The stone is now on a permanent display at the Kremlin Armory Museum in Moscow. I was lucky enough to see it while living in Russia. The most expensive sapphires ever sold at the auction were “The Richelieu Sapphires,” a pair of dangling earrings, went for a whopping $8,358,520. They sold at Sotheby’s in Geneva in November of 2013. Each earring is set with a cushion cut sapphire weighing 26.66 and 20.88 carats respectively, each suspended from a star surmount set with cushion and pear shaped cut diamonds. These velvety blue and barely included sapphires were mined in Kashmir, a region located remotely in the Himalayan Mountains in India. They are considered to be a finest quality with no exposure to the heat whatsoever. 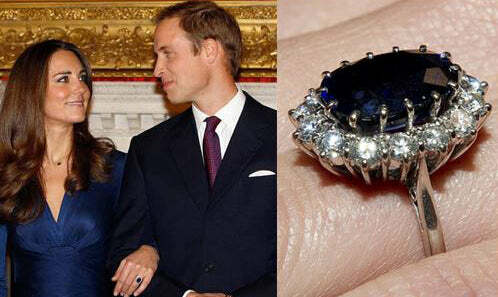 Undoubtedly, the most famous sapphire engagement ring in the world is Kate Middleton’s sparkler – that holds 12 carat oval cut blue Ceylon Sapphire surrounded by a halo of 14 round cut diamonds. The ring is made out of 18K white gold. It was originally the engagement ring of late Princess Diana and was worth 28,000 Pound Sterling when it was bought in 1981 and now, it values at 300,000 Pound Sterling. We have a great variety of sapphire jewelry items on our website. We can make you any custom ring as well. Give us a call at 1-213-627-1300 and our creative designers will be happy to help you.